NOW THERE ARE TWO KID’S AERIAL CLASSES EACH WEEK! 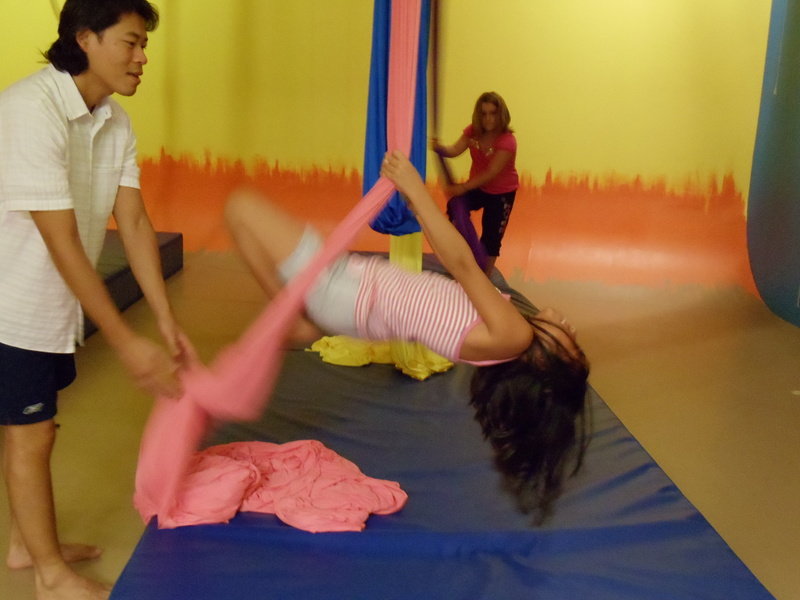 EVERY SATURDAY AT 2:30PM AND WEDNESDAY AT 4:30PM IS INTRO TO KIDS AERIAL CLUB! Back after the holidays by popular demand! This starter class for kids ages 6 – 10 years will introduce them to aerial fitness, while meeting new friends and having fun. Includes physical conditioning and introduction to aerial silks, hammocks, static trapeze, lyra (hoop), and corde lisse (smooth rope). Students enjoy learning the fundamentals of using these apparatus and develop new skills. All of the work is closely supervised and done at a low level above soft crash mats.